Ross always gives interesting insights into current events in pro wrestling. 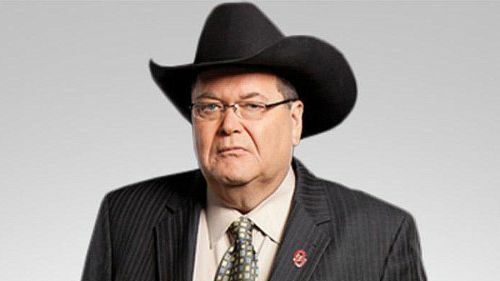 Jim Ross spoke with Justin Barasso of Sports Illustrated about a number of topics. One of them regarded Ross' thoughts on the rumoured main event of WWE Wrestlemania 35, Becky Lynch vs Ronda Rousey. Ever since they were slated to face off at Survivor Series, the ongoing feud between Smackdown's Women's Champion Becky Lynch and Raw's Women's Champion Ronda Rousey has lit the world on fire. Even though the feud was putting Becky Lynch on another tier in terms of her overall performance, it ultimately had to be shelved because of her injury during the Smackdown invasion angle on the Raw before Survivor Series. Since she was unable to compete, Lynch had to pick her replacement, and of course, picked former friend/current foe, Charlotte Flair. At Survivor Series, Ronda won by disqualification after Charlotte brutally attacked Ronda with chairs and kendo sticks. Rumours suggest Charlotte did this to keep her looking dangerous and give her an edge since Ronda and Becky had passed her in the build-up to their potential match. Ross is a trusted voice in the pro-wrestling industry and his thoughts and ideas carry weight. When speaking with Barasso, Ross gave his thoughts on the possible main event. “I would be very comfortable in booking Becky Lynch vs Ronda Rousey in the main event at WrestleMania. I wouldn’t be offended if they added Charlotte to that match, but right now, Becky and Ronda would be my match on top. That’s the hottest thing they have going right now,” said Ross. "Right now, none of the men are red hot. You can’t say that about women. They have captivated the attention of the fans. There is no male red hot enough to make me want to supersede putting them above Rousey or Lynch in the main event at WrestleMania. WWE can also market to the outside world that this is the first time in history that women are going to close the show. That is an amazing opportunity, and these women would be pioneers for the company,” he added. Ross has his mind on the pulse of the company and has always kept his eyes on the WWE product even though he's been a broadcaster for NJPW for the past two years. Wrestlemania 35 is approximately four months away. What happens at the next two PPVs, TLC and the Royal Rumble, will ultimately determine if the rumoured main event between Becky and Ronda will actually happen or not. Will the much-rumoured match go down and go on last next April? A lot can happen between now and then as we witnessed right before Survivor Series. Ross is a trusted voice in the industry and since he's currently a free agent, he might even get to call the historic match should it actually happen. Step one on the road to Ronda vs Becky at Wrestlemania 35 is TLC and if Becky and Ronda retain their titles or not. If one or both should lose their titles before April, the Royal Rumble can also be used to set the two on the path to a showdown. WWE Rumors: WrestleMania 35 Main Event Finish Not Decided Yet?